When considering a team for a new commercial additions project at your facility, or an entirely new facility all together, it is important to choose a company that can help guide your company through the entire process, from site work all the way to putting on the finishing touches. Dirt Connections has the experience, and a wide range of talented construction professionals, to take your project from A to Z. We have the equipment and the know-how to get your job done in a timely manner at a level of quality your company will be eager to show off. Dirt Connections has the tools to do the heavy lifting. We can help you get your project rolling by clearing your site, grading the construction area, and helping you determine the layout of your property. Demolition should be handled with care in order to protect your property’s value and your investment. Dirt Connections are experts in removing existing structures and components with care. Additionally, we provide high quality excavation services for below-grade project components, such as basements, foundations, and slabs. When your project is complete, odds are you will have a lot to haul away. Dirt Connections has trucks at the ready to move the mess and dispose of it properly. Unfinished or improperly finished insulation projects can sap energy from your structure and money from your pockets in the form of elevated utility bills. Dirt Connections has experts on staff with years of insulation expertise, giving us the capability to offer the highest quality of exterior insulation finishing services. Potholes in your parking area area an eyesore, detracting from your business’ exterior appeal and potentially damaging customer’s cars. 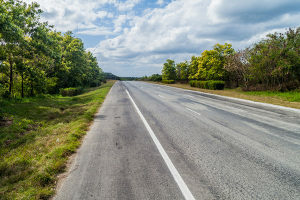 Dirt Connections can help refurbish aging asphalt, or install new parking areas and pathways. Improperly capped utility lines can present a danger to your customers and may even make your structure fail an inspection. Dirt Connections can help finish your project to satisfy local ordinances, seamlessly capping your utilities at the end of a major build. Damaged and dated stucco on your property is an eyesore that detracts from your business’ curb appeal and may even create structural issues and safety hazards. Dirt Connections’ rehab and renovation team can fix cosmetic issues old stucco experiences. 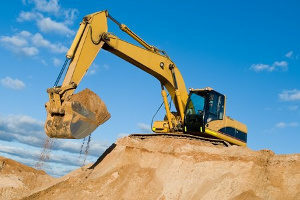 Dirt Connections has the equipment, expertise, and manpower to get your job done on time and on budget. Why settle for anything less than the best? Dirt Connections blows the competition away when it comes to quality, cost, and comprehensiveness. We have assisted and improved thousands of projects and can do the same for you. Contact us today to find out how we can make your business’ next big idea a reality!